Want to stay indoors during what looks to be a cold and rainy weekend? How about a tiki night at a Boyle Heights brewery or a homebrewing demo in Highland Park? 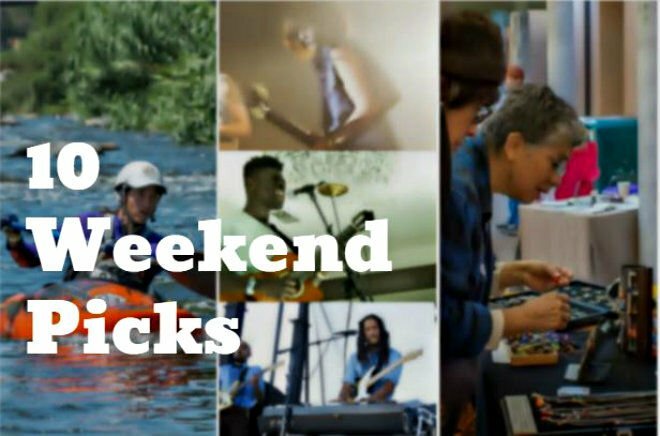 Then read on for our top 10 events and things-to-do this weekend. Homebrewing Demos at Go Get Em Tiger: If you love beer and are looking to take up a new hobby, this Highland Park workshop will show you the basics of homebrewing to help get you started. Free. 4 p.m. to 5 p.m. Details. Brazilian Carnaval Block Party at Zebulon Cafe: This Elysian Valley carnaval celebration requires no passport, so grab some some glitter and your wackiest outfit and get ready to dance the night away to live samba performances by Thalma de Freitas and Bloco Obini. $10. 8 p.m. to 11 p.m. Details. Youth Documentary Filmmaking Workshop Series at Echo Park Film Center: This series of 10 classes has students between the ages of 12 and 19 working collaboratively on a film exploring urban gardening in Los Angeles using 16mm film and eco-friendly developers. Free. 10 a.m. to 12 p.m. Details. Herbal Medicine Workshop Series at Wild Terra: This series of 4 Highland Park classes will teach you the basics of herbal medicine that could help you to maintain your health naturally. $200. Details. DIY Brass Hairpin Workshop at Maker’s Mess: Learn how to hand make your own brass hairpin using silversmithing techniques with Alix Camp of Yoku Jewel in Silver Lake. $65. 1 p.m. to 3 p.m. Details. Kickback Brunch at Xelas: Sunday Funday in Boyle Heights with mimosas and hip hop throwback party jams spun by local DJ crew, Chulita Vinyl Club. 11 a.m. to 4 p.m. Details. Eastside 45s Vinyl Night at Eastside Luv: Top off your Sunday with a dose of nostalgia at Eastside Luv’s vinyl-only soul, doowoop and oldies dance party. Free. 6 p.m. to 11 p.m. Details.